The rise in temperatures over the next few days will have the effect of reinforcing pollination and the risk of allergies. How to effectively protect yourself simply when the risk is so high? The good days come back and with them: allergic rhinitis (hay fever), asthma attacks and other breathing difficulties. Between 20 and 40% of French people suffer from pollen allergies. For several days, half of France is on red alert, mainly threatened by birch pollen in the north and plane tree in the south. Throughout France, the risk of allergy is also high for ash pollen. The pollen of charm could also reach this level in a few days. In the southwest, the risk is medium for grass pollen, although they are still present. The rise in temperatures announced this Tuesday will have the effect of strengthening pollination. So how to protect yourself effectively? What actions can be taken to limit the harmful effects of pollen allergy? If you are allergic, a few precautions can help you. The whole thing is to limit contact with the outside when the risk is high: avoid walks in the forest or in the fields. If you drive, keep the windows closed. The National Aerobiological Surveillance Network also recommends “to rinse the hair at night (otherwise the pollen is deposited on the pillowcase and maintain the irritation, ed), to promote the opening of windows before sunrise and after sunset (pollen is more present during the day, ed), to avoid drying clothes outside, to follow his treatment and to consult his doctor in case of symptoms … “. Change regularly if you can, pollens tend to hang on clothes. How to confirm a diagnosis? Allergy tests are needed to confirm a diagnosis of respiratory allergy. These tests are generally performed on the skin (skin tests or Prick-tests) but can also be performed in the form of serological tests (blood tests = specific IgE assay). In certain situations, particularly those where skin tests show several positivities, molecular allergy tests may be used to confirm a birch pollen allergy (family of plant stress proteins called PR-10). Routine crowding out of the allergen is not always possible, but available treatments are effective and generally safe, if used properly. It is recommended to take them systematically, every day, from the beginning of signs and throughout the blooming incriminated. In some cases, it is possible to take them even a little before, which avoids letting the allergy settle. The oral antihistamines are the first-line drugs against allergic rhinitis. The oldest antihistamines have a potentially dangerous sedative effect when driving or in certain trades. The second-generation antihistamines have them, no sedative effect and are now recommended as first-line people who have to take these medications: desloratadine, allegra, loratadine, cetirizine … Do not hesitate to try several to find the molecule that best suits each person: there is indeed a strong individual susceptibility. These medication are easily available on RXShopMD.com. The topical nasal corticosteroids are the recommended first-line treatment for moderate to severe rhinitis (budesonide, fluticasone, mometasone …). They are recommended as second-line treatment in patients with mild allergic rhinitis. Their regular use can even repair the effects of inflammation. Nasal corticosteroids have few side effects, but they can cause irritation or bleeding of the nose in 10 to 20% of people. Topical nasal corticosteroids are superior to oral antihistamines for the treatment of allergic rhinitis. 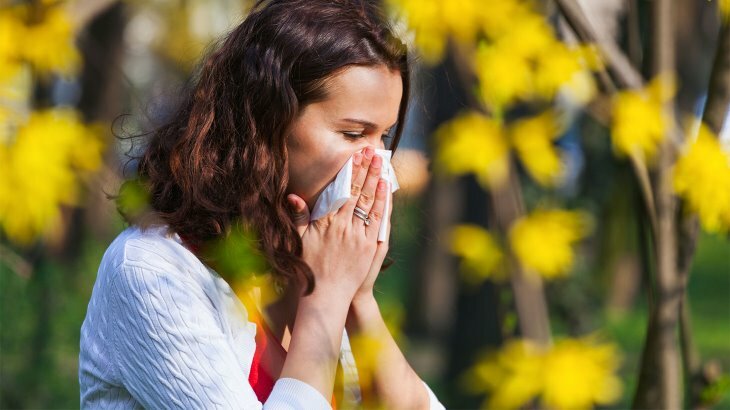 They offer a particularly important advantage over antihistamines in people with perennial allergic rhinitis who suffer from moderate or severe nasal congestion. In this case, they must be the main treatment. Topical corticosteroids can be combined with antihistamines. In the form of eye drops, topical corticosteroids are effective in the treatment of allergy to the eye (“conjunctivitis”). The leukotriene antagonists can be used in prevention of rhinitis, mainly in asthmatics with nasal polyposis. Oral corticosteroids are not recommended because of the side effects that occur at doses where they are effective. Phenylephrine decongestant nasal sprays should also be avoided as they may be at risk for stroke.